23 years after the first DIAMOND ANNIVERSARY EDITIONS release Old Times They Are Not Forgotten the DAE team has joined together for some very special vinyl releases. The first title : HERE I GO AGAIN was a complete sell out and was well recieved by vinyl freaks. To make things not too complicated we have now chosen to release the very first title ever released on DAE “Old Times They Are Not Forgotten”. Obviously It contains the August 30 1976 show. And it's a beauty! We believe this new updated double album is the best outing of this show till now! And of course the show is included on cd too. 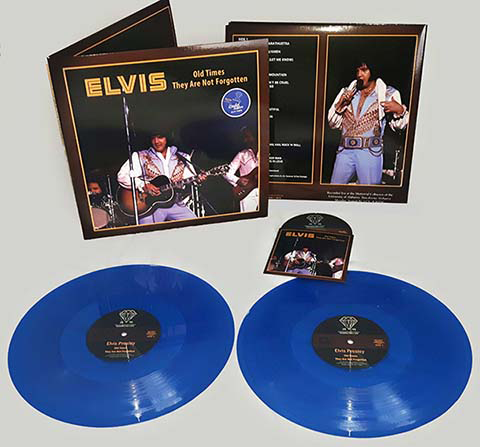 This release is very limited and is available in red or blue vinyl presented in a gatefold sleeve. Get it while you can and add this awesome DAE product to your collection.